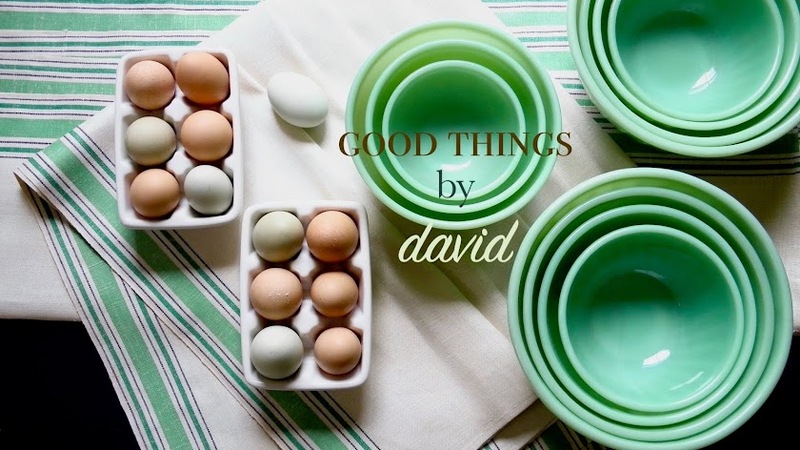 Good Things by David: Dear David ~ Do I Keep My Depression Glass? At the suggestion of a friend of mine, I thought I'd try an 'advice/opinion' column here on Good Things by David as a way to answer some of your questions. On any given month I get many emails from individuals asking about this or that, which I try my best to answer in a timely manner. Many of those queries leave me thinking that a lot of my readers would benefit from sharing this back & forth dialogue. Why not do it in an open forum here on the blog and have you see what others are asking? I don't pretend to be an expert, but I do have opinions, I do have experience and knowledge in areas that I blog about (otherwise I wouldn't be doing so) and I think I have an eye for spotting a "Good Thing" when I see it. Let's keep this fun, informal and open. I don't want anyone to feel inhibited or shy about asking questions regarding the home, baking, cooking, collecting, style, etc. I have Fire King and Depression Glass tea cups and saucers and bowls I may never use. They would set a very pretty table when used with the same patterned plates, but how often will I serve tea in glass cups? Do I keep them for that once in 15-25 year period, or give them up? I think Depression Glass is beautiful as is Fire King. I own both and use them from time to time. Here are a few things to consider. Are you the type that needs to have everything matching at your table? I am a big proponent of mixing and matching dinnerware, glassware and silverware at the table, because it creates texture. As long as you set your table with some kind of harmony through colors & materials, I think having your Fire King and Depression Glass pieces mixed with other dinnerware may get you to use it more often. 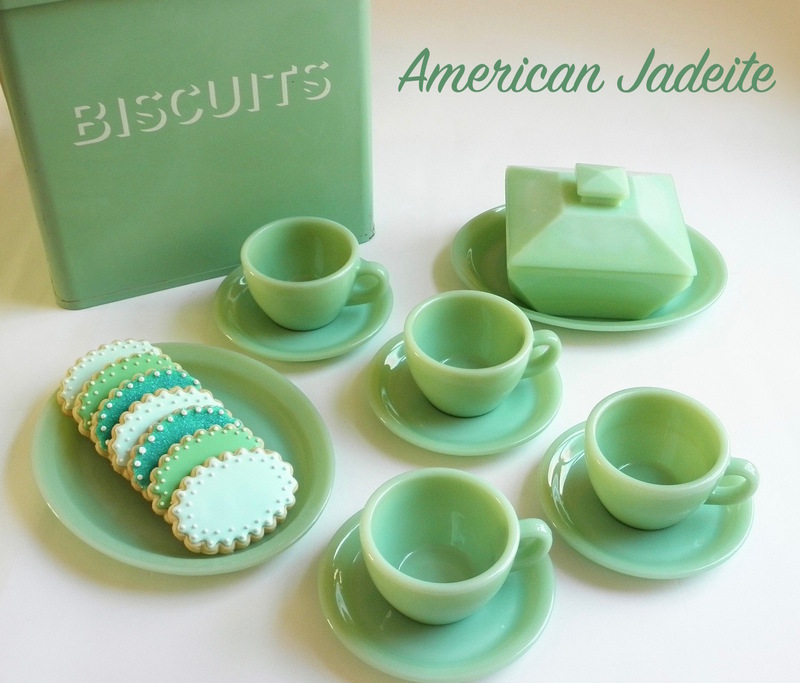 For instance, consider Fire King jadeite. 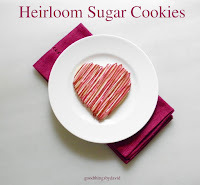 One of the nicest pairings, to my mind, is mixing Restaurant Ware with white bone china or a creamy earthenware, such as Wedgwood Queen's Ware. If your Depression Glass is colored, using pristine white bone china or white porcelain will really complement it very well. It will enhance the color and make it quite appealing. Those cups, saucers and bowls can be used during the holidays for eggnog, mulled cider or tea. Also, it might be a good idea to do a rotation of your Depression Glass, and certainly your Fire King, and store it in your kitchen cupboards. Fire King is sturdy and beautiful enough to use every single day! Here's something else to ask yourself. Have you used any of these pieces in the last year? If you haven't let the glass from your collection see the light of day and you don't feel like they're somehow missing from your table settings, then it may be time to let it go. I have been going through portions of my various collections doing just that and asking myself if I can live without this or that. Sometimes it's quite alright to let things go.